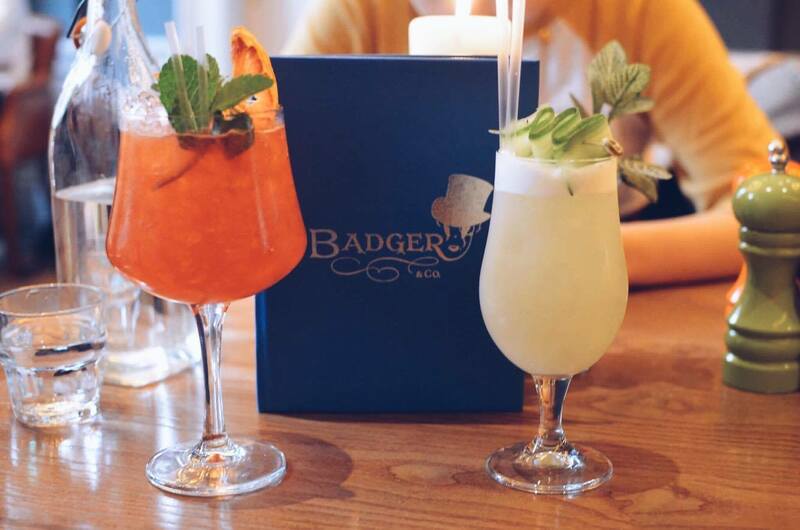 Earlier this week I was invited to try out Badger and Co, a restaurant on Castle Street I've actually been dying to try out. Thankfully, I was far from disappointed. I absolutely loved the décor in Badger and Co. Set in the former home of Kenneth Grahame, the author of the Wind in the Willows, the restaurant and bar is inspired by whimsical woodland animals. With luxurious brown leather couches and grand chandeliers, it has a real cosy vibe. The walls are adorned with quirky paintings of woodland animals (of course quite a few badgers) in human clothing. But enough about the décor, you're here to read about the food! Inspired by the cosy, warming feel of the décor, I decided to order as my main one of their gourmet pies. A 'game pie' is not something I'd normally order off a menu (especially with warnings of potential traces of shot), but inspired by the woodland theme I gave it a go and was really pleasantly surprised. 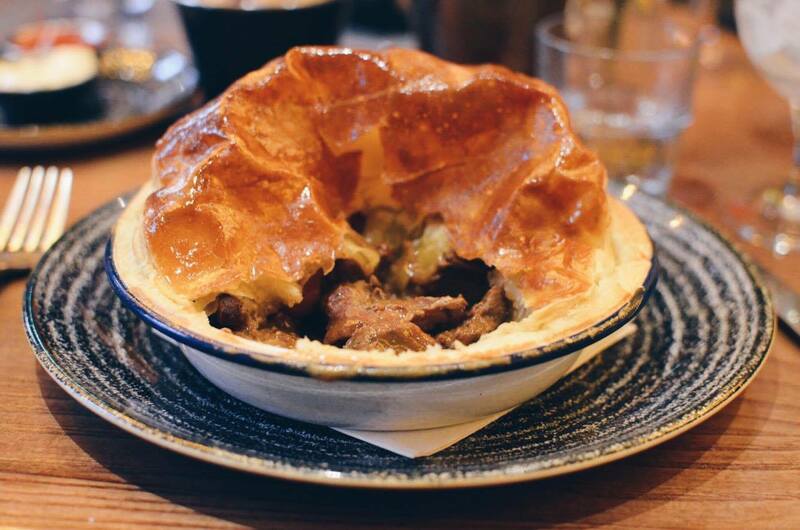 The pie was packed full of tender, beautifully cooked meat in a delicious stout gravy. The pastry was flaky on top and buttery on the inside, just how I like it. It was super filling but just at the right amount for a good winter's meal (I know it's Spring, but come on guys we live in Scotland). I'd like to take this time to make a special shout out to the fries – they were amazing! Let's be honest, it's hard to make chips stand out but Badger and Co's hand cut chips really did. They also have 'triple cooked beef dripping chips' I'd be eager to try next time I'm back (and not sharing with a vegetarian friend). While I'm on the subject of my vegetarian friend, I would have to say that the veggie options were a bit limited. The menu caters really well to us meat-eaters and pescatarians, but not so much for vegetarians. She wanted to order the soup of the day as a starter, but the waitress kindly warned us that it was really spicy, so she went for the goat's cheese starter instead which she did enjoy but was the only thing she could order. She was also a little disappointed in her 'vegetable patch pie' as it wasn't a hearty pastry based pie like mine was. 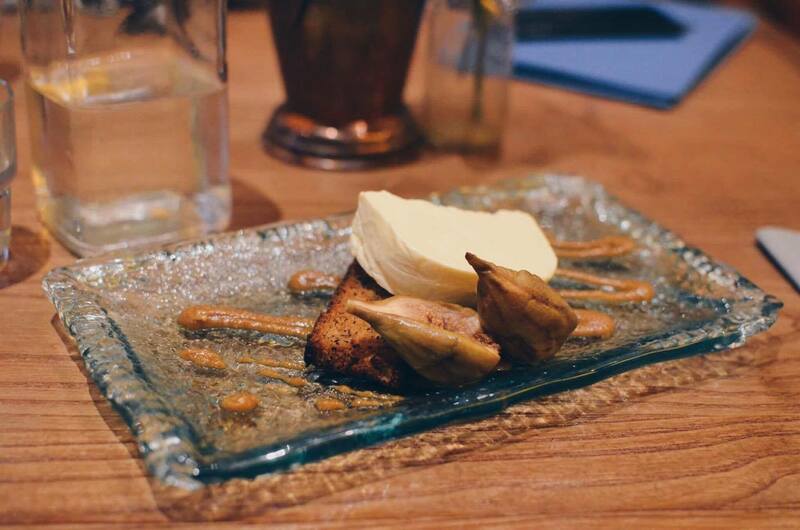 For my dessert I went for the 'caramelised banana parfait' which topped a piece of toasted banana bread and came with a side of roasted figs. This was delicious, and again not too big a portion, so the ideal way to finish off a meal without feeling like you're going to burst out your belt. 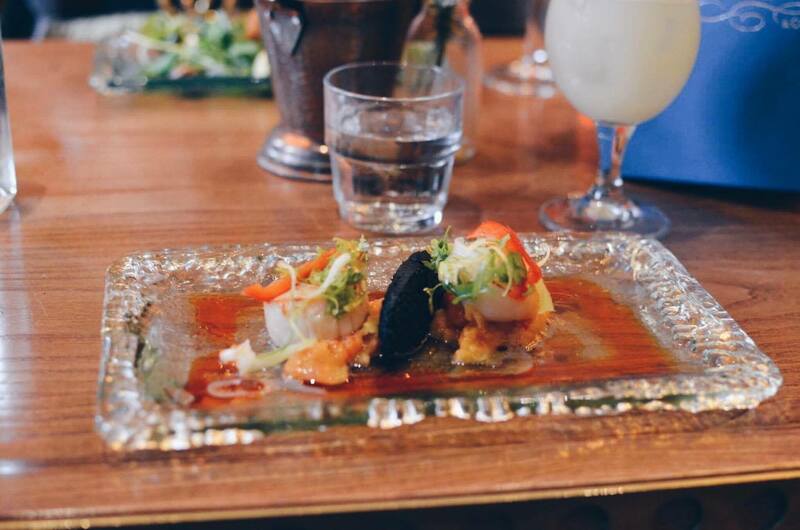 Each page of the menu even recommends a drink choice to perfectly accompany your meal, putting in that bit of detail really makes a menu stand out. Speaking of drinks, they have really unique and tasty cocktail menu, as well as a little outdoor patio downstairs, dubbed their outdoor riverbank area, that would be the perfect place for after work drinks (providing the weather is above the Scottish average). Both of the cocktails we ordered were great, my favourite was actually my friend's 'Pimms in the Willows' a delicious combination of plum and vanilla flavoured Edinburgh Gin, Pimms, plum, mint and ginger ale, I can imagine drinking far too many of these on a warm summer's night out on the riverbank area. 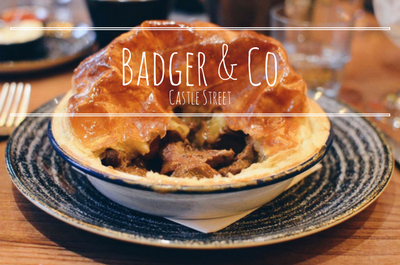 Overall, Badger and Co's warming atmosphere is really echoed in its menu, with hearty pies and tasty classic British dishes, it is definitely one of the nicer places to eat in the centre of Edinburgh (the centre is far too bombarded with chain restaurants). I feel like I say this every time (because I'm obsessed with brunch and breakfast food) but I am really keen to come try out their breakfast menu. I'd also love to bring my mum along as she loves woodland animals. Check out their menu for yourself on their website. Disclaimer: I was kindly invited to review Badger and Co but this post, as with all my posts, reflects my own views and opinion.